The right quote at the right time can transform your life. Not all quotes are powerful. But every once in a while, you come across a quote that stands out from the rest. These powerful quotes inspire you to take a step back and to reflect your life. Some of them are so incredibly mind-bending that they make you question everything. Other quotes will challenge you to live to your full potential and to make the most of your life. They all have in common that they make you think deeply about various aspects of life. The difficulty, however, is to find these magnificently powerful quotes. 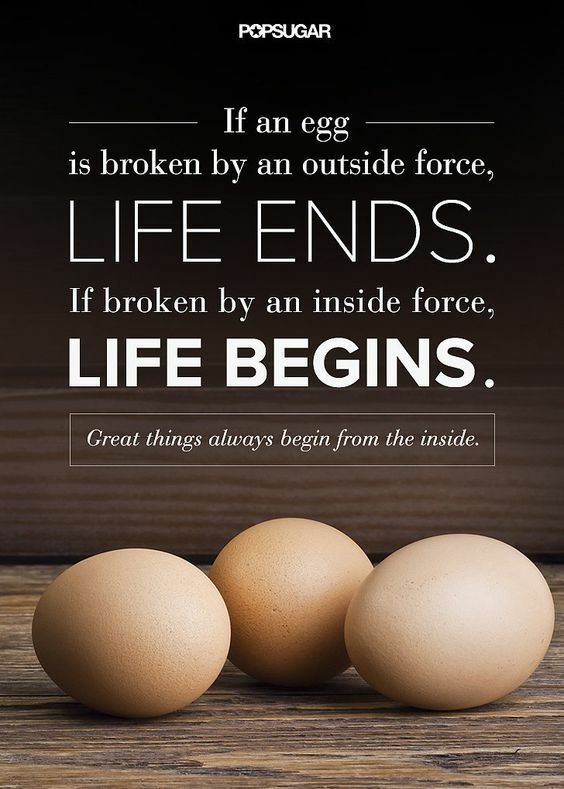 It’s not always easy to unearth the life changing quotes and inspirational words of some of the wisest men and women that encourage you to overcome what is holding you back. Luckily for you, we did all the work and discovered some truly precious gems. In the following, you can find a hand-picked selection of the 60 most powerful quotes that make you think. After our articles about deep thinking and thought-provoking questions, it’s only logical to conclude this series with some powerful quotes to make you think. 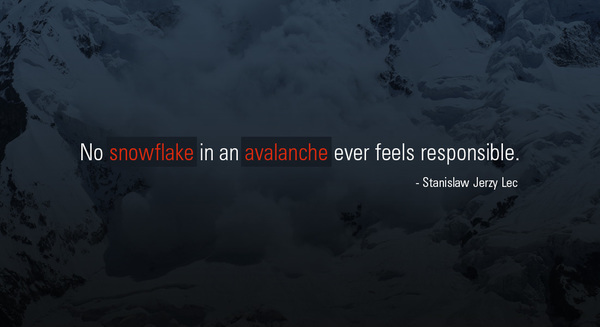 By reading thought-provoking quotes, you can gradually change your entire worldview. There are some quotes that encourage you to look at things from an entirely different perspective, not previously considered. Other quotes will motivate you to get rid of the things in your life the drag you down. Some of these quotes will confront you with inevitable questions about life that none of us can avoid. If you have the courage to face these questions and to find answers, you will greatly benefit from it. However, those who seek to evade the inevitable questions will sooner or later come to regret their decision. And let’s face it, if you do find an answer to one of these questions, it will be liberating. The following quotes can be quite thought-provoking. Make sure not to read them all at once, but to reflect on the meaning of those quotes that you find interesting. If you do carefully think about these statements, you’ll see that they can help you to shed off false beliefs so that you can see the bigger picture. Don’t shy away from thinking about challenging your existing belief system. Instead, see if you can replace false assumptions with knowledge that is more truthful. If you want to affect great changes in the world, you must first change yourself. Without the willingness to become a little better each day, no real progress can be made. Those who seek to change the world around themselves without changing within may not succeed in their undertakings. At the same time, true greatness cannot be awarded by something external, it has to be accomplished by yourself. This also means that we seldom can force others to live to their full potential. Instead, what it takes is the right encouragement that helps these people to ignite the fire within by themselves. In order to make the world a better place, we must first encourage others to change their inner lives. This is the only way that true change can be affected. Comparisons are almost always unjust. The reason for this is that we lack the right metrics while not being too fair with ourselves. What we usually do when we compare ourselves to others, is that we compare our own weaknesses with those who excel in these areas. 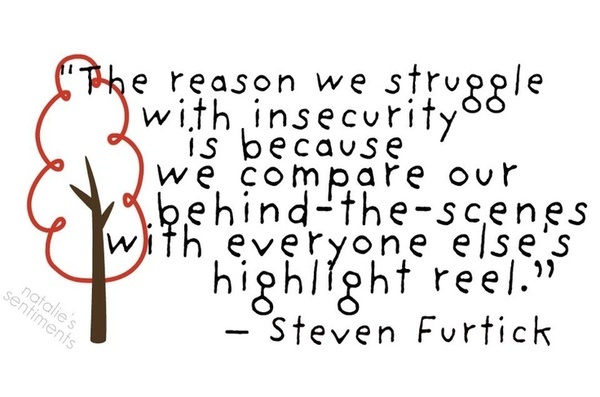 Instead of continuously comparing yourself to others, compare your own progress in life. The only one you can fairly compare yourself with is your former self. If you do make progress and if you continue growing as a person, you are successful. Always remember that your own successes in life are simply too unique for comparison. It can be dangerous to set yourself aims that cannot possibly be accomplished. If you do so, you will only set yourself up for discouragement. At the same time, if you aim too low, if you only reach for the lower hanging fruit, you will never make any progress in life. 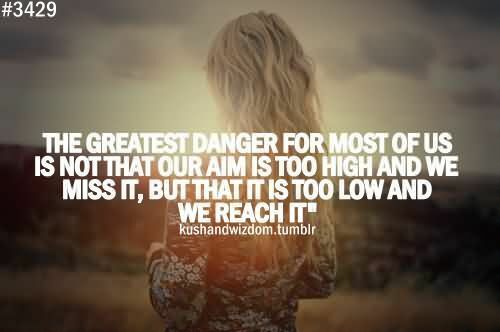 If you don’t have the courage to aim high you will never accomplish something of importance. Sometimes, it can be greatly helpful to take a step back and reflect how you spend your money. In many cases, you will find that you don’t actually need many of the things you have bought. 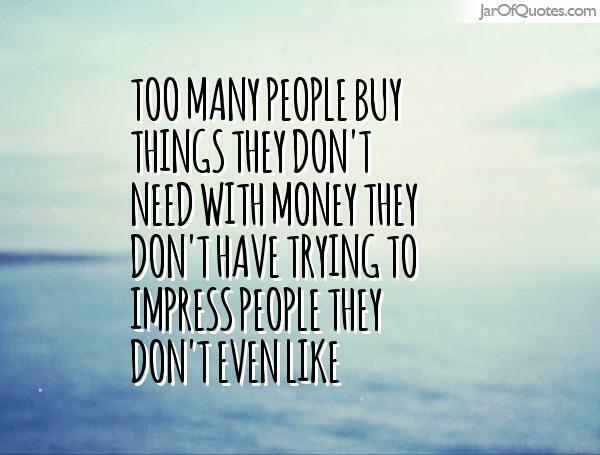 At the same time, you may realize that you bought many things not because they add value to your life, but simply because you wanted to impress others with your possessions. 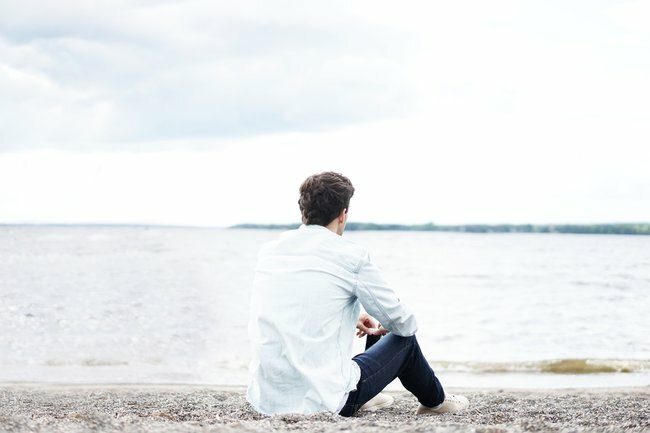 Living a simplified life can help you in not only spending your money on more meaningful things that actually add something to your life but also in becoming less dependent on other people’s opinion. True greatness can only be accomplished if you fully immerse yourself with that which you are doing. This, however, can be incredibly difficult if you hate what you do. 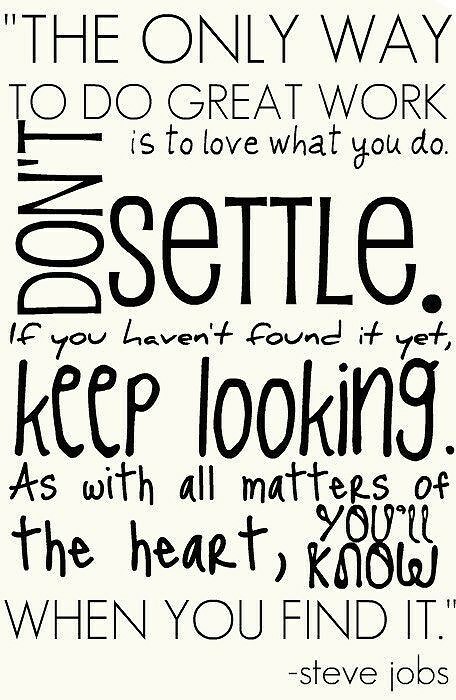 In order to excel in life, you need to love what you do. When was the last time you did not pursue a given opportunity for fear of failure? It happens more often than you might realize. Your fear paralyzes you and holds you back from accomplishing great things in your life. It limits you and prevents you from making progress. For this reason, it is important to realize that it is much worse not to try than to fail occasionally. It’s also important to understand that failure is not permanent. Regret, however, lasts a lifetime. And it can be much more painful in the long run than a couple of defeats here and there. If you do fail, use the experiences you make in order to grow stronger. 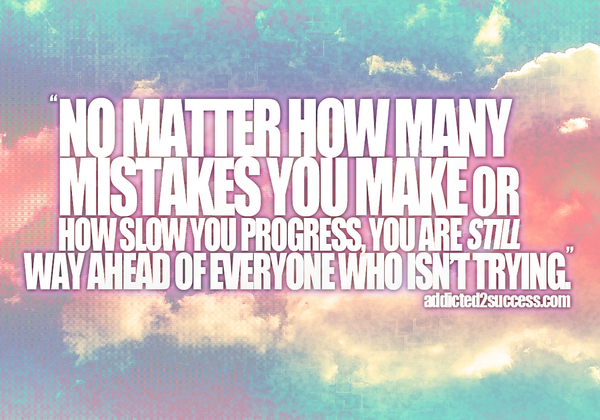 Your mistakes and failures will greatly help you to make progress in life. There will come a time when you will realize that all these painful experiences aided you in becoming who you are now. History has shown time and time again how important it is to continuously reflect your own actions. Evil empires rose and committed their horrendous crimes because thousands or millions of individuals did not question their behaviors. One might participate in these actions without feeling responsible for the overall result. However, most of these crimes can only be committed when many individuals unquestioningly participate in the activities of the collective. 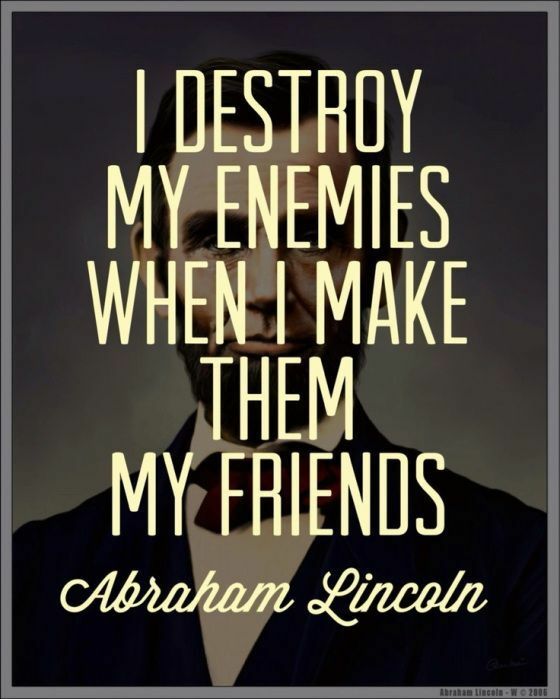 The easiest way to avoid unnecessary conflict is to get to know and perhaps even to befriend your enemies. Doing so will help you to realize that they are just like you. That they have similar dreams about their lives and that they care as much about their families as you care about yours. Just because you occasionally fall to the ground does not mean that you are defeated for eternity. 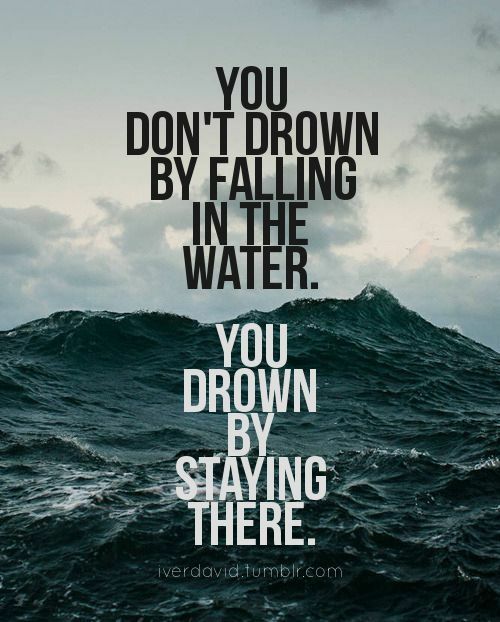 However, if you don’t get back up, life will keep pushing you to the ground. It is, therefore, absolutely important to confront the problems you are facing. Get back up on your feet and fight back against whatever is holding you down. Take an active approach to life and don’t allow setbacks to discourage you from the pursuit of your dreams. 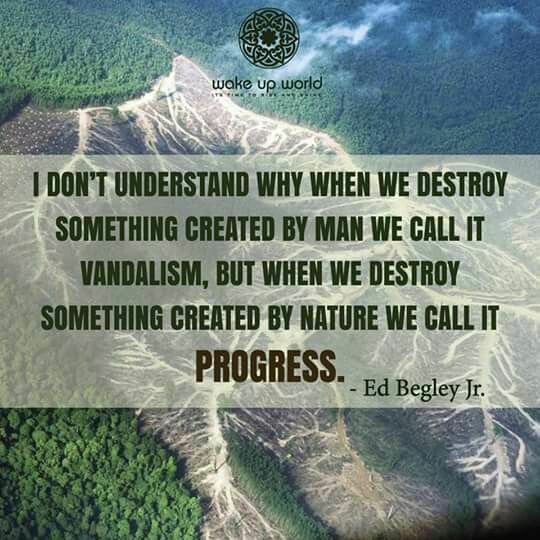 Ed Begley’s statement is incredibly thought-provoking. It really makes you think about the way we differentiate between human property and something that was created naturally. But shouldn’t we care for nature just as much as we care about what belongs to us? The beauty about happiness is that it is an unlimited resource. You don’t lose your happiness by sharing it with other people. Quite the contrary, you may even get a lot happier by sharing your happiness with other people. Just as the fire of a single candle can ignite a thousand others without ever dimming, so can you share your happiness without ever losing it. George Carlin famously said that it is a waste of time to argue with an idiot. He said that this is because idiots will drag you down to their own level, where they can easily beat you with experience. It’s a fantastic statement that adds to Tyrone Edwards’ wonderful insight about prejudice. Let’s face it, it is almost impossible to encourage people to overcome prejudices, as they are seldom founded in logic. It’s not enough to have a goal, to create a strategy and to pursue this strategy with the greatest determination. It is a sign of stubbornness if you’re unwilling to leave the path you have chosen, even if you clearly realize that it won’t lead you to your goals. What is instead necessary is that you frequently adapt the path you take in order to make sure that it is still leading you to your goals. True accomplishments can only be made if you are willing to risk something. If you always stay in your safe harbor, you will never explore the wonders of the world. Only those who are willing to take risks will gain something more. Many people struggle greatly to find their purpose in life. However, having a purpose in life is not always about finding it. It is all about proactively creating that purpose. You have to give your life a purpose, otherwise, it may be incredibly difficult to ever find your true purpose in life. The same holds true for finding yourself. You can search all you want, but only when you start creating yourself change happens. As you progress in life, you will find that your enemies when not stop you from committing mistakes. It is only those people who really love you for who you are that will give their best to prevent you from making really stupid mistakes. Knowing this fact can greatly help you to identify those people who do actually care about you and those who do not. At the same time, many battles in life can be avoided by realizing that many people are eventually their own worst enemy. They will stand in their own way and sabotage their own progress. This means that there is no need to waste your precious time on them. Unjust people will eventually take care of themselves. If you hold on to anger, the hatred within will eventually burn you. Letting go and forgiveness are therefore important elements for your recovery. Only by accepting what happened and by forgiving others you can find inner peace. The question if extraterrestrial life exists can make you think for hours. And it is not so important to find the definite answer to your question. All that matters is to ponder about the possibilities. It may quite be possible that we are entirely alone in this universe. At the same time, there could be other planets in galaxies far away that are populated with microbes and bacteria or even intelligent life. One never knows. Good leaders don’t just tell their followers what to do. They will first ignite that spark of passion, the yearning for a better world, within their followers. Without this inner fire, nothing great can ever be accomplished. It’s not so much what we do and say that leaves an impression on other people. It’s how we make other people feel that matters. Knowledge without wisdom can be quite dangerous. While our society progresses, we gather more and more knowledge about the world we are living in. However, if we apply this knowledge unwisely, great destruction and suffering can be the consequence. Just think about what the knowledge about the atom and how it can be split resulted in (the atomic bomb). If you choose to ignore a certain problem in your life, it will gradually grow ever more daunting. You can avoid this from happening by tackling your issues as soon as they show up. That way you will almost always deal with small or minor problems that have not yet developed into big catastrophes. If you live by Charles Swindoll’s statement, it is no longer so important what happens to you in life. All that matters is how you react to the circumstances of your life. You may be confronted with great challenges and difficulties. But if you do not allow these setbacks to break you, they cannot cause you any long-term harm. People keep parroting other people’s statements, often without even thinking. They accept other people’s truths and insights about life without questioning them. There are certain things in life you simply cannot change. You’re not able to change where you grew up and how you look like. Similarly, you cannot change many external circumstances of your life. The great mistake many people make is that they allow these aspects of their lives to drag them down. They feel painfully miserable about certain elements of their lives, feeling hopeless because they cannot effect any kind of change. When you’re confronted with unchangeable facts, it is important to understand that you can still change the way you think about these aspects. You can allow these things to make you feel miserable and to stop you from pursuing your dreams. But you can also accept these elements of your life as given and make the best of your life despite these things. Carl Sagan’s fantastic books alone can make you think for hours. Whether or not the cosmos is experiencing life through us remains open for discussion. You surely have come across people in your life that treated you badly simply because you had nothing to offer. Don’t allow these people to drag you down. Instead, be grateful that they have shown you who they really are. If you were in a position that these people could benefit from, they would not have hesitated to flatter you in order to get what they want. These are the people to stay away from. You can also learn quite a number of things about people by closely observing how they treat those who stand below them in the hierarchy. Only people of true character and integrity will treat those of lesser status just as they treat their superiors and those above them. Muhammad Ali’s statement is not only fantastic but those who exercise. It is also a valuable lesson for life. If you have the courage to make mistakes you will eventually fail. There will be people pointing their fingers at you, some might even laugh about your mistakes. But you will always know that in the end, you will learn far more valuable lessons about life than those who are only spectators. Using elaborate words is not always a sign of intelligence. It is simply proof that a person spent some time learning complex and almost incomprehensible words. A true sign of intelligence is when you are able to explain complex subjects with easy-to-understand words. No one really likes to hear it, but progress is more often than not initiated by those who did not accept the way things were. People strive to become better than others, to exceed other people’s accomplishments in life. However, there’s nothing to gain for you by feeling superior to others. All that matters is to become a little better than you were yesterday. There are many people who are superior to others in terms of fame, material possessions, status and wealth. But not all of them really made any significant progress in their lifetime. They always remained who they are and struggled with the same issues they have always struggled with. Don’t you think that the world could be greatly changed if the stupid were a little more honest with themselves about their abilities and the intelligent a little more confident? No one in this world will remember you for driving a shiny sports car or owning a huge house. The fact that these things were in your possession will be forgotten quickly after you’re gone. The only thing that remains of you are the selfless acts you did during your lifetime. The pursuit of money can absolutely ruin a person’s life. If you sacrifice too much in order to be one day rich beyond belief, you may eventually come to regret it. For this reason, it is important to find the right balance between money, happiness, career and private life. If you are able to balance all these factors, you can lead a far more meaningful existence than those who make great sacrifices just to have a little more money. If you go about your life with the attitude that you already know everything there is to know, you may greatly limit your progress. Only by discovering ever more about life you will realize how little you knew in the beginning. The wisest people in life have repeatedly said that the more they learned about life, the more did they realize that they still don’t know anything. The way you think can greatly shape your destiny. Positive thinking allows you to tackle challenging tasks with the attitude that is necessary to overcome every obstacle in your way. It is the realization that your desires can never be fully satisfied that can help you to set yourself free. Socrates’s statement highlights that there are far greater things to life than seeking to fulfill worldly pleasures. There are no stupid questions. Only stupid answers. Good books have the brilliant characteristic that they can profoundly change the way you think. Watching television and surfing the Internet may be quite inspiring at times, but nothing can effect such great changes in your life than reading a brilliant book. Unfortunately, many people give up learning as soon as they leave school. Similarly, they also stop exploring new ideas and opportunities. They become content with the familiar and are no longer willing to make progress in their life. With every bomb that is launched, hundreds of people could be fed for days. If governments would stop to engage in unnecessary warfare, this world would not only be a better place but many in it could be fed and clothed. If the people in a society are selfless and care greatly about the well-being of others, the whole society will thrive for decades. However, if we only care about ourselves, unwilling to make life a little easier for future generations, the society will eventually break apart. Don’t listen to reply. Listen to understand what is being said. Having plans and goals in life is great. At the same time, it is similarly important to remain flexible so that you can make quick adjustments. Only a few strategies will precisely work out as planned. The Polish proverb expresses many different ideas. For one, it tells us that some people are successful in life by sheer luck or chance. But it can also imply that even incredibly ignorant and stupid people can sometimes be right about something. This means for you that you shouldn’t judge another person’s statements based on their status or intelligence. Instead, try to evaluate the plain statement and you will find whether or not it holds any truth to it. No matter how tough life gets, always remind yourself that failure is not permanent. Know that life will always go on and that the difficulties you’re confronted with today will eventually be gone. There are some people who do evil things for no good reason. However, there are also people who are deeply convinced that they are doing the right thing, even when their actions are horrible and cruel. Tom Hiddleston’s statement reminds us to always reflect our motives and beliefs. He encourages us to critically think about our actions and to question whether or not it is justified what we do. It’s not only about taking care of what you have in life in order to preserve it, but it’s also about valuing what you have. This is so true. Tell this those people who are standing beside you and try to tell you that you simply cannot appreciate the beauty of something for whatever reason. You get to decide if you want to be angry or happy. It’s not possible to experience both emotions at the same time. Choose wisely. If people would care less about looking good and started trying to be good, this world could be quickly transformed. If you use your failures and mistakes as stepping stones, you can excel your life to great heights. The statement is certainly true. But think a little further: everyone you meet can teach you in some way or the other an important lesson. If you are willing to learn new things from all the people you meet, you’ll amass great knowledge. I hope you enjoyed these thought-provoking and powerful quotes that make you think. Correct me if I’m wrong, but I believe that the very first quite belongs to Herman Hess. The one with the egg? I’ve had a look but I could find no reference to him. But it could definitely be his quote as well. In some cases, it’s quite difficult to tell. Thanks for making me aware of it, I will keep my eyes open. Fantastic quotes. Thanks for sharing. Number 11 isn’t actually a quote from Buddha. Thanks for pointing this out Tyler. Wasn’t it Samuel Clements rather than George Carlin that made the idiot comment? But the quotes do make one think! Were we to miss the irony in this? Therefore the unreasonable man, is the slowest rower in the boat, and slows progress. Confidence is essential for success And Confidence comes when you try to win over and over again. The most valuable man in his works was the laziest one! Dad said that whenever they had to test making a new or different product he would assign the task to this man. This man would always find the quickest and simplist way to make it. Dad would observe him and the way he tackled the task became the standard way that the task was written up. Good quotes always helps to compare our lives situations and show us right path. I’m PĖÑŁØRD by pen name. Amazing complication Steve, as always here!